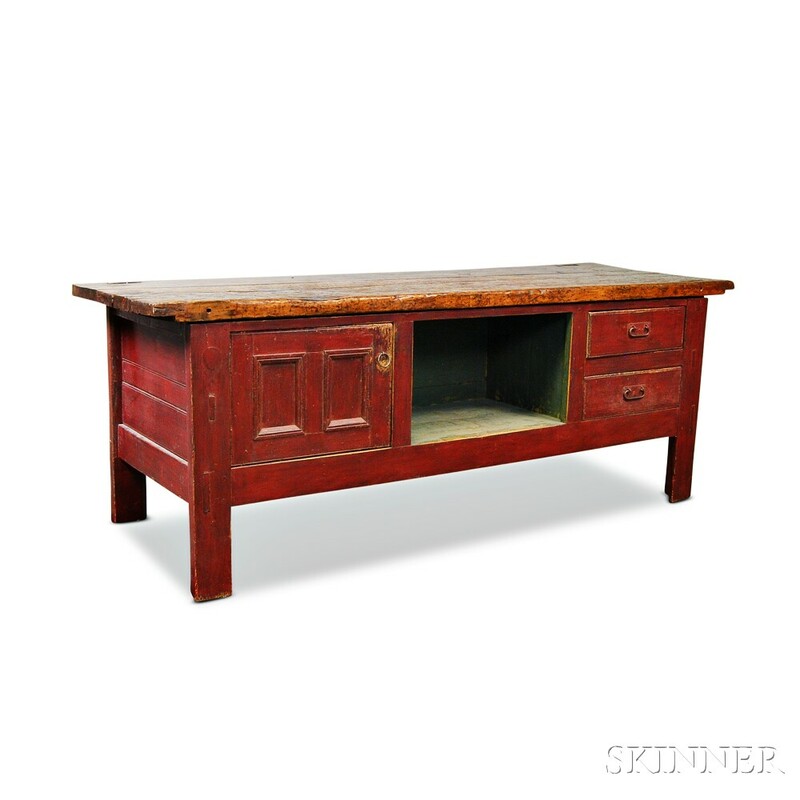 Large Red-painted Country Workbench, 19th century, ht. 35, wd. 96, dp. 33 in.